Every October for the past 4 years, the team at Comic Fusion Comics & Collectibles in Flemington, NJ have hosted the East Coast fundraiser for Wonder Woman Day. WWD was founded by writer and historian Andy Mangels in Portland, Oregon. Together, the events have raised over $89,000 for domestic violence organizations. All of this is possible with the support of the artists in the comic book industry and great companies like DC Comics, Dark Horse Comics, Tonner Dolls, Del Ray/Random House and Universal Studios to name just a few. 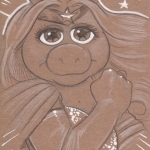 While DC Comics is not officially affiliated with the fundraiser, they have been gracious to allow everyone’s favorite female character be used as the icon for this important cause. 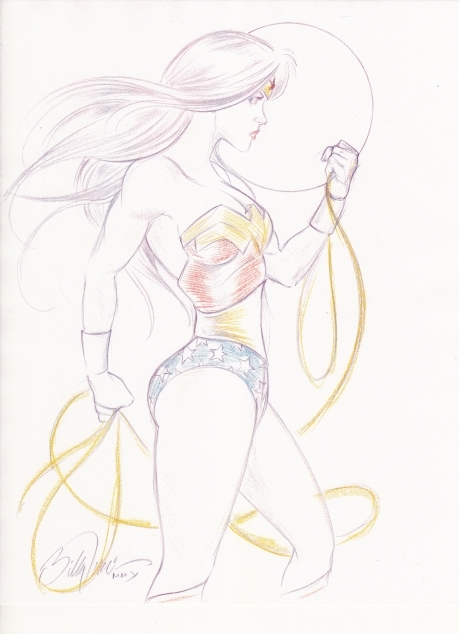 Online (via email) bidding ends Oct 23rd; by phone or in person at Comic Fusion on Oct 24th. In New Jersey, the art is mainly compositions of Wonder Woman or WW-themed pictures but they have a few which incorporate other characters. 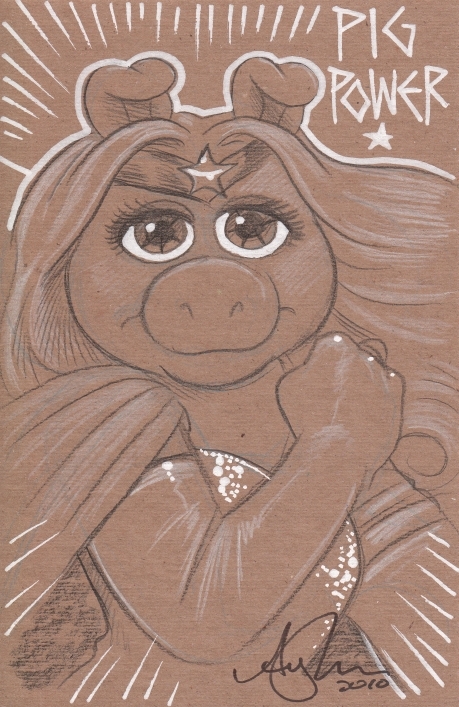 This year some even combine characters with Wonder Woman like the Incredible Hulk in the star-spangled spandex or Miss Piggy with her own versions of bracers and tiara. The art auction is only the foundation of the entire event. The raffles are also a monstrous opportunity to nab some incredible comics and collectible geek memorabilia. 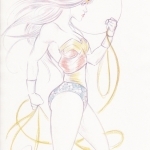 This year there are a variety of books as prizes such as some Ultimate Guides and Showcases, copies of the WONDER WOMAN ANIMATED MOVIE soundtrack, encyclopedias of DC’s Trinity (Superman, Batman and Wonder Woman) and lots more. Podcasters: WWD-2010promo You can download the bumper/PSA (1:15) and play this week on your shows. Thanks! Comic Fusion’s event spans October 23-24, 2010 and will host some of the industry’s top creators. Saturday the 23rd you can come meet Jamal Igle and Ken Haeser who will be joined by members of Star Wars’ 501st and superheroes. 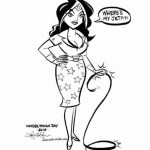 Sunday you meet Wonder Woman in person along with Green Lanterns Hal Jordan and Alan Scott. They will be joined by Nick Mockoviak, Charles P. Wilson III and Mike DeVito. Only a limited amount of in-store sketching will be done because there are around 90 pieces of art available in the auction iteself. The INVISIBLE JET CAST did a fun podcast with me as their guest. 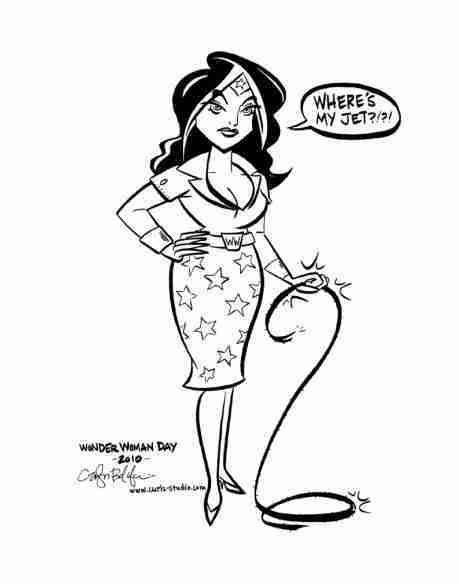 Give it a listen to learn about Wonder Woman Day. My interview with Pete LePage of COMIC BOOK CLUB is up at NEWSARAMA! 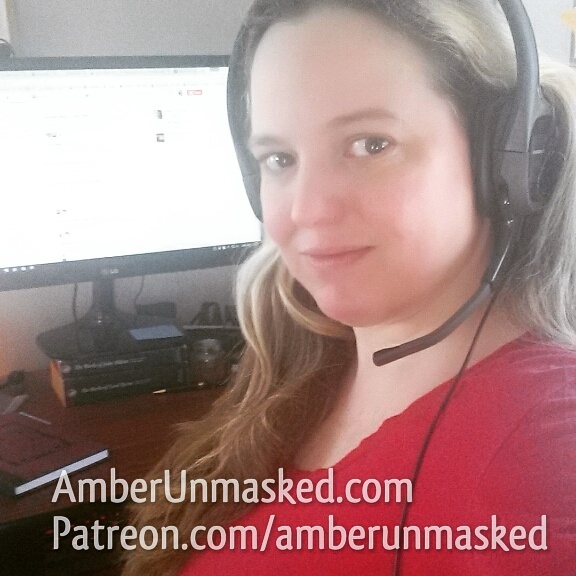 To kick off the event, AMBERUNMASKED.com is publishing a series of interviews with key artists. Sketches from: Sergio Aragones, Billy Tucci, Ethan Van Sciver, Herb Trimpe, Acir Piragibe, Anthony D. Lee, Anthony Rizzo, Billy Tan, Brendon & Brian Fraim, Carolyn Belefski, Chad Cicconi, Charles P. Wilson III, Chris Giarrusso, Dan Nokes, Dan Thompson, Dave Pirello, Dave Wachter, David Mack, Dean Haspiel, Dean Stahl, Denise Vasquez, Diane Carroll, Emmanuel Cappuccia, Filip Sablik, George O’Connor, Gina Canady Adler, Giorgia Di Giorgio, Ian Nichols, J.K. Woodward, J. Scooter Harris, James Fiorentino, James Q. Nguyen, Janet Hetherington, Jay Fife, Jay Kennedy, John Heebink, Kelly Varesio, Ken Branch, Ken Haeser, Kevin Leen, Kimberly Dunaway, Kyle Latino, Laura Guzzo, Mark Bloodworth, Mark J. Tannacore, Michael Golden, Michael Laico, Mike Cavallaro, Mike Collins, Monte Baldwin, Natalie Kim, Nathan Schreiber, Neil Vokes, Nick Abadzis, Nick Mockoviak, Raffy Arcega, Rand Arrington, Rich Hennemann, Rob Kramer, Robert A. Kraus (RAK), Robin Ha, Rodney Buchemi, Shane Simmons, Simon Fraser, Steve Gordon, Tim Hamilton, Tom Smith, Thomas Zahler, Wayne Moraghan, and Will Torres.